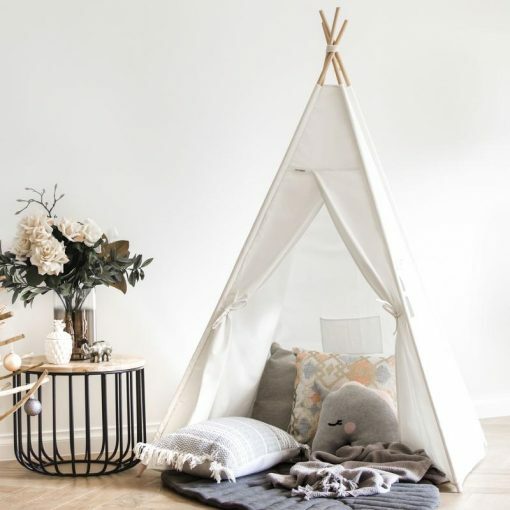 If you’ve searched Pinterest while looking for kids design inspiration, then I have no doubt that you’ve come across at least one room that included a kids teepee. While not the newest trend, these little tents are growing in popularity, which brings about more amazing design options! Here at Little Residents, we’re fans of things that aren’t all about looks. Like many other of our kids faves, these kids teepee tents encourage play and learning from adventures to quiet reading time. From Scandinavian inspired to the sweetest lace, they are the perfect addition to a kids room or playroom. Since we are such a fan of this kids interior trend, we’ve rounded up a few of our favorites for purchase as well as a DIY option! 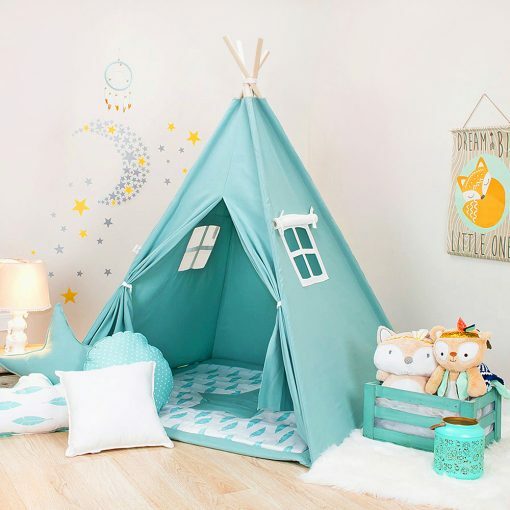 This sweet teepee is perfect for a little girl’s dream room! It features layers of lace and roses fit for a princess. 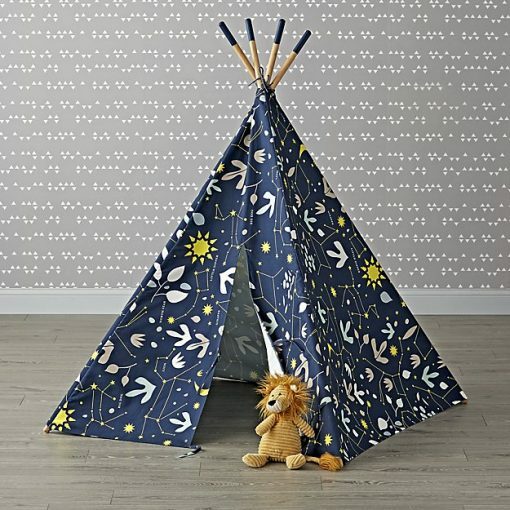 Inspring imagination and exploration, this constellations teepee is perfect for little future astronauts! If you’re handy and want to save a ton by creating a kids teepee tent on your own, here’s a great tutorial with rave reviews! 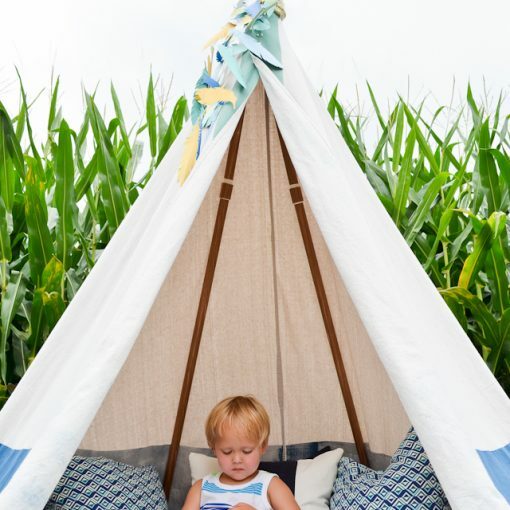 This beautiful blue kids teepee makes a fun and serene space! A perfect addition to a Scandinavian themed kids room! This all-white teepee speaks to the minimalist lover and is absolutely gorgeous! If your kids will be using this space for some comfy quiet time, opt for one of the options that includes a matching cushioned mat! 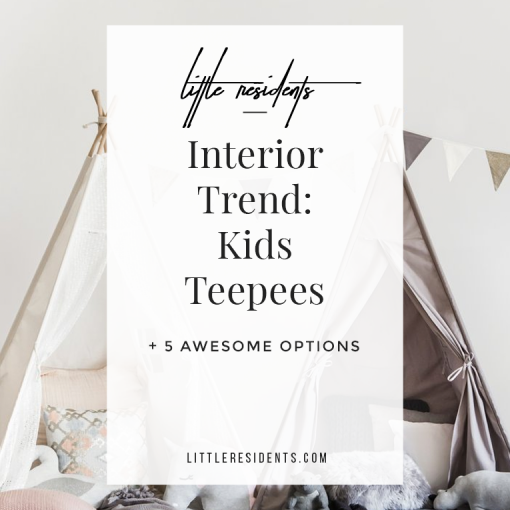 Which kids teepee is your favorite? Need some help designing a room for your little one? Check out our kids interior design services! 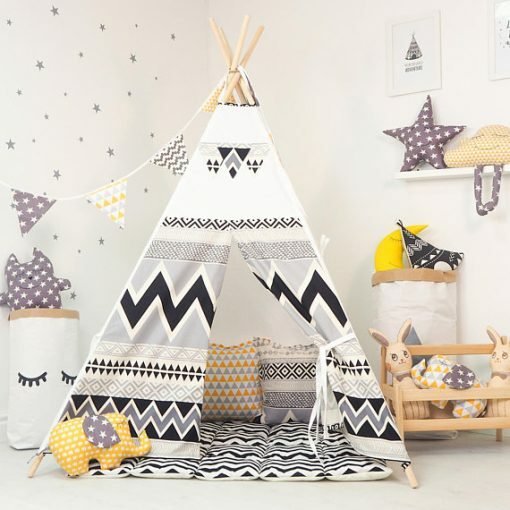 Ah aren’t you clever – I’ve often looked at the teepees but have never been able to justify their large price tag so I’m loving your DIY version, thanks for sharing.